Great foam cutting disc that removes medium to heavy imperfections with ease! The Meguiar's Soft Buff DA Foam Cutting Disc is an ideal pad to use with a cutting polish (i.e. Meguiar's M105 or M100) to remove swirls, oxidation, etc. This foam disc allows for better power transfer from the tool to the paint. What does that mean for you? More cut and a smoother feel through your DA polisher! These new cutting pads offer more cut than past Meguiar's pads and they are discs, not pads! This thin 17.5mm disc design allows for a lower operating temperature and a much smoother and easier feel through the machine. This allows you to end up with less haze left behind and excellent results! 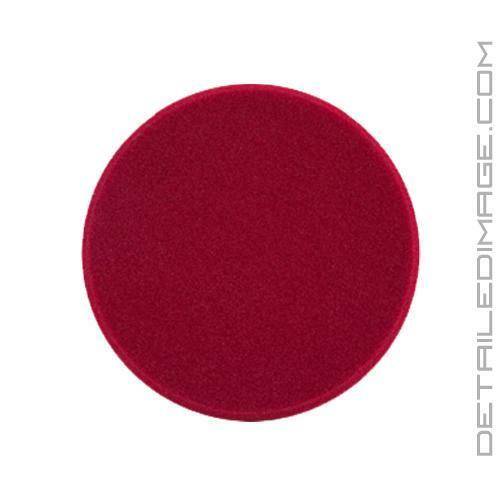 These pads work great on any DA Polisher, however Meguiar's does recommend using them on the MT300 Dual Action Polisher with the Soft Buff DA Backing Plate for best results. Used on gel coat of a center Console boat. Used with 3D ATT and worked like a charm; removing the oxidation and corrected all the night scratches. I have been using the 7 inch foam pads for years with my rotary. I just switched over to a DA and Meguiar's 105/205 and also the D151 and ordered these pads for the DA, they work great. This is one of the better foam cutting pads on the market simply because it is so effective no matter the machine. Long throw, standard DA or forced rotation, it cuts quick and is very durable. Follow it up with the yellow pad (which by the way is top notch as well) and a polish and you got a beautiful finish.